Wish you had $1000 to throw down for a projector? 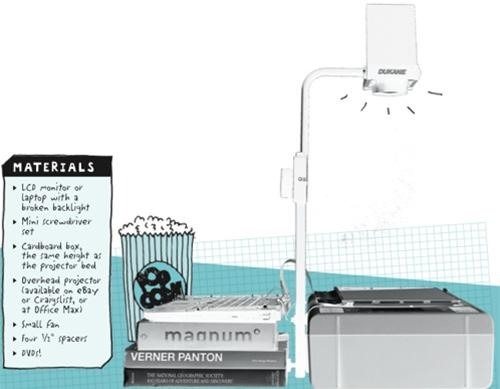 Well, if you have an old laptop lying around instead, here is a simple way to cheaply build your own digital projector. Lifehacker posts a HowTo excerpted from DIYer Randy Sarafan's 62 Projects to Make with a Dead Computer: (And Other Discarded Electronics). Click through to Lifehacker for the full HowTo.